One of the year’s best films finally comes home to reign in your movie collection. Not long after Wesley Snipes helped shaped the Marvel universe with the Blade movies, I remember talks of him trying to get Black Panther to the big screen not long after he finished those. While we sadly didn’t get this beloved character to the movies until Captain America: Civil War, the wait was worth it as Chadwick Boseman nailed it and would take the superhero to bigger heights in his own film, Black Panther. Now this year’s blockbuster that has broken numerous records at the box office comes home to rule over your movie collection as one of the best movies out there, superhero or otherwise. Our own Annette Palmer saw and reviewed the film while it was in theaters, and you can check out her review (spoiler: She loved it) for all of the plot and character details, leaving me free to chime in on the movie and this home video release. Needless to say, I loved the film just like most of the world, as it’s easily one of the best superhero films I’ve seen and just a great movie in general. 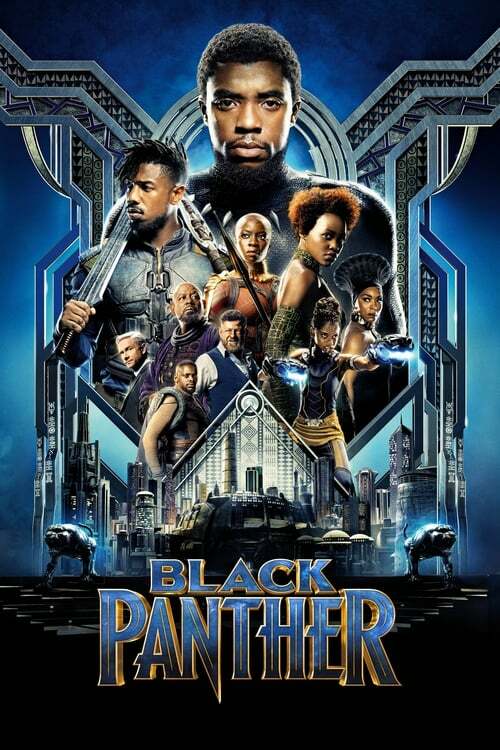 Not only does Chadwick Boseman play the character to a tee, but just about all of the supporting cast nails their roles too, from Andy Serkis playing one of the villains to perfection, to Martin Freeman’s role and his perfect american accent, you can tell everyone gave it their all and it shows. The Blu-ray review copy I received looks and sounds amazing, coming through even better than when I saw the film myself in IMAX. Besides perfect visual and audio clarity, I was able to better see a lot of the action that took place at night or in dark areas (which seems to be most of the major action sequences). There’s also a nice amount of extras to look over including a nice intro by director Ryan Coogler as well as audio commentary where he goes into all sorts of details into the production of the film, how he wanted certain elements to be represented, and more. “From Page to Screen: A Roundtable Discussion” has some of the crew discussing how they went about bringing the hero to the big screen, “Crowning of a New King” goes into details about Wakanda and its king, “The Warriors Within” shows off the awesome and lovely lady warriors of Wakanda with the actors who portray them discussing their characters, there’s a few other extras like some deleted scenes that are short but powerful and will make you wish they were included in the film (perhaps a “Director’s Cut” is in the near future? ), there’s also a funny gag reel, and more. Black Panther is one of the films I’ve seen this year, superhero or otherwise that comes highly recommended as it goes into all sorts of fun and dramatic depths on what it is to be a leader while also letting all of the characters be fun, strong and interesting in their own ways. If you’re looking for something awesome to watch that’s as cool as it is deep, then prepare to let this film rule over your free time and movie collection.